Is your vacuum cleaner standing between you and a cleaner home? For many homeowners, the debate between corded and cordless vacuum cleaners is one without a clear winner. Many find themselves stuck between choosing a corded vacuum cleaner or a cordless vacuum cleaner for their cleaning needs. Of course, each of these vacuums have their own advantages and disadvantages. In recent years, many people have shifted from traditional, corded vacuum cleaners to the more portable, cordless models. 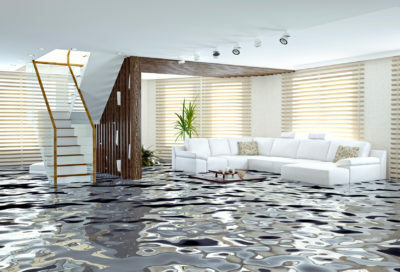 At the same time, other people remain stranded in between, not sure which way to go – cordless or corded. If you look online, there are hundreds of reviews helping you when choosing the best type of machine to pick for your home. Of course, you have probably heard of the big ones such as Dyson, Shark and Hoover. So, how do you pick between the two different types of machine? This article is a quick and easy guide to help you make the choice between corded vacuum cleaners and cordless vacuum cleaners. Each of the them has a brief list of pros and cons to guide you with your next purchase. The most important factor to consider before buying a vacuum cleaner is its suction power. Ones with high suction power can easily tackle various types of debris, dirt, dust and hair on various surfaces such as floors, carpets, upholstery and even stairs. Most cordless vacuum cleaners operate on a Lithium powered battery. The battery life of these machines affects both its performance and effectiveness. On the other hand, corded cleaners have a power cord which directly connects the vacuum to an electrical source, so you get much more power without the risk of running out of battery. Ideal for larger homes which have more vacuuming to do. The longer the cord, the easier the vacuum is to use. Portability and convenience of use is another important factor to consider when choosing a vacuum cleaner. Cordless vacuum cleaners are often lighter and more portable as compared to their corded counterparts. This makes them convenient for use in small spaces. Price is another factor that plays a role because there is often a big difference in cost between the lower end corded models vs the higher end cordless ones. You may need to factor in your budget before you go shopping for a new vacuum cleaner. However, generally, cordless vacuum cleaners tend to be more expensive than corded vacuum cleaners. Different vacuum cleaners come with different warranties. Before purchasing a vacuum cleaner, it is crucial to check the motor warranty as well as the material used to build the cleaner. Nevertheless, corded vacuum cleaners generally have a longer life span than their cordless counterparts. There are many reasons why people stick to the traditional, corded vacuum cleaner. Generally, corded vacuum cleaners are more powerful than their cordless counterparts. These vacuums come with strong suction power. This makes corded vacuum cleaners efficient and reliable when it comes to cleaning thick carpets and stairs. Likewise, another advantage of corded ones is that the power remains constant unlike with cordless where the power dwindles as the battery decreases. Some cordless models come with an option of multiple batteries. These simply act as a boost in case you need to do more than usual at a time. Some corded vacuum cleaners come with a feature which allows the user to turn off the brush when cleaning bare floors. This allows the vacuum cleaner to remain efficient for a long time. At the same time, other models come with handles which can easily be folded which makes storage of the vacuum much easier and convenient. When it comes to picking out a corded vacuum cleaner, it is important to consider the availability of plug-in sockets. Many of these corded vacuum cleaners come with a standard-length cord which restricts movement. 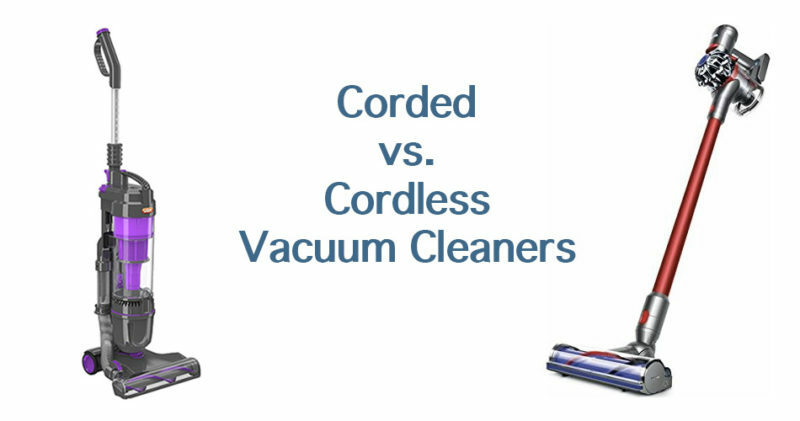 Check out this list of pros and cons for corded vacuum cleaners. Powerful and reliable suction power. More affordable than cordless vacuum cleaners. Not portable or convenient for use in small spaces. Can only reach as far as the cord allows. Long cord length may become a hazard around the home. Is a cordless vacuum cleaner the perfect fit for your home? Cordless vacuum cleaners were created to reduce the shortcomings of the traditional corded vacuum. As a result, these vacuum cleaners are smaller, lighter and much easier to use than corded vacuum cleaners. On the other hand, cordless vacuum cleaners tend to have a weaker cleaning power than their corded counterparts. On average, a cordless vacuum cleaner only picks up 47% of the dust on a thick carpet as compared to 79% for corded vacuum cleaners. While many of these cordless vacuum cleaners are designed for cleaning up floor dirt, several of them come with a wide range of accessories for smaller cleaning jobs. Therefore, you can use a handheld vacuum cleaner for cleaning your car or even the stairs. If you decide to go cordless, you will have to make a few compromises. For starters, many cordless vacuum cleaners come with a small dust capacity of around 0.6 liters compared to their corded counterparts with 1-2 liters. Moreover, many cordless vacuum cleaners have a short battery life. On average, cordless vacuum cleaners last between 15 – 40 minutes. Take a look at these pros and cons for cordless vacuum cleaners. Are not limited by the length of the cord or proximity to an electrical socket. Lighter than the standard vacuums. Smaller and easy to store. When it comes to picking the perfect vacuum cleaner for your home, there is no right or wrong answer. Instead, you should compare features and performance between several types of vacuum cleaners. Cordless vacuum cleaners are perfect for cleaning small spaces while corded vacuum cleaners are more powerful and reliable. 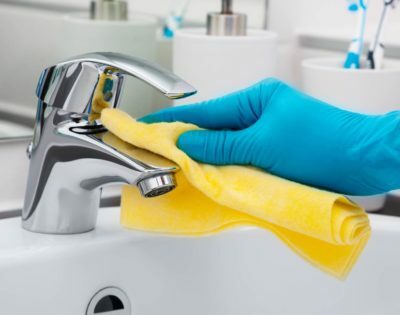 Depending on your house cleaning needs, you can should opt for the one which best meets your needs.